One of the best features of Dynamics 365 is its portability. With administrator support, users can access work from anywhere with smartphone and tablet options, making it an ideal platform for an increasingly mobile world. Make sure you have a supported device. You can view Microsoft’s list of supported devices here. Install the app from your preferred app store. There are options for phones and tablets on Android, Apple, and Windows devices. 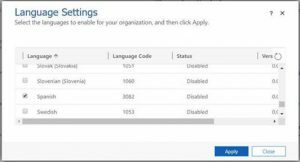 Once you have sufficient privileges from your administrator to access Dynamics 365, you may need to work with him or her to gain the level of security access you need for your work. Customer Data is limited based on security and entity settings. Form customizations: Forms are already optimized for the mobile user experience, but additional customizations can be made to eliminate fields, sections, or entire tabs to allow users to focus on the most relevant data (for instance, the contact’s primary information). Entity customizations: All custom entities can be enabled on Dynamics 365 for phones and tablets. Visual controls customization: Users can enter data faster using visual controls in Dynamics 365 for mobile devices. Sliders, switches, star ratings, video embedding, and calendar controls are all available options that can create a sleeker experience. Whether you’re a Dynamics 365 user or administrator, getting comfortable with Dynamics 365 mobile functionality is an important way to help your company take the next step in CRM optimization. To learn more about Dynamics 365 and implementing mobile options as part of your digital transformation, contact us today! When Microsoft Dynamics 365 replaced Dynamics CRM, many Dynamics CRM users were uncertain at the thought of transitioning to a whole new platform. Now that Dynamics 365 has launched, its time to answer some of the most common questions about Dynamics 365 licensing, improvements, and making a smooth transition. Dynamics 365 offers a suite of tools designed to enhance the customer experience. Advanced artificial intelligence features help predict customer behavior and drive smarter communications. Opportunity history tracking and reporting for sales, financial, and customer support departments enable users to track sales processes, customer onboarding, case resolution, and other activities. Adxstudio Portal integration increases efficiency across departments. Financial management tasks including quoting, invoicing, payments, purchasing, inventory management, and financial analytics can be streamlined by integrating Dynamics 365 for Financials. The bottom line? If your organization is working with a group of cobbled-together tools that are challenging to integrate, Dynamics 365 will provide a strong improvement. And if you’ve wanted to try department-specific software but keep putting it off because of integration issues or budgetary reasons, Dynamics 365 offers a customizable, cost-effective solution. If you’re using Dynamics CRM Online, you will be required to transition to a new Dynamics 365 licensing plan when your current plan renews (usually one year after your initial purchase). Many users are choosing to make the leap sooner rather than waiting in order to take advantage of enhanced functionality and software upgrades. Instead of delaying the transition to Dynamics 365 and scrambling to choose the right options and apps at the last moment, we recommend talking to us now and preparing for a smooth transition before you’re required to make the switch. Dynamics 365 consists of a suite of apps that users can purchase as needed, which gives users significant licensing flexibility that did not exist in Dynamics CRM. Some popular apps include functions for sales teams, marketing, financial management, and operations, but the selection of apps and integration capabilities is virtually limitless. 1. Open License / Open Value / Open Value Subscription – At the end of their current CRM Online subscription, these users will be required to renew in an alternate channel (Direct, CSP, MPSA, or EA). In order to renew in CSP, you must use a CSP partner like IOTAP. 2. Web-Direct (MOSP) Channel – At the time of renewal, these customers must switch to Dynamics 365 SKUs. Promo codes can be used before February 1, 2017. After February 1st, customers will need to renew at the transition price rate. 3. CSP – These Dynamics Online customers are also required to switch to Dynamics 365 SKUs on or before their renewal date. As with the Web-Direct Channel above, promo pricing is available only until February 1st. 4. MPSA – Transitioning to Dynamics 365 is required for renewal, and transition/offer SKUs have been available since December 1, 2016. 5. Enterprise Agreement / EA Subscription – CRM Online customers on the EA program must upgrade to Dynamics 365 at renewal or before. Below, we’ve broken out two typical licenses to help you understand potential options. You can learn more about Dynamics 365 licenses here. With so many different options available, many Dynamics CRM users are struggling to choose the right licensing and add-on appropriate apps to integrate their departments under Dynamics 365. Talk to us today to find out about making a smooth transition from Dynamics CRM to Dynamics 365, or schedule a demo see how this progressive platform can advance your organization’s digital transformation. Dynamics 365 is designed to connect every business function together into a single, easy-to-use platform. As you can imagine, there are a number of ways in which the software’s capabilities can be used, and today we’re taking a look at one of the most popular: Dynamics 365 for Financials. These are basic financial management functions that every business needs, but the way Dynamics 365 for Financials connects these tasks to a comprehensive, scalable platform is what makes it so valuable. Here are three reasons why we think Dynamics 365 for Financials is an excellent choice for small and mid-size organizations alike. Standalone applications can be slow and inefficient. Dynamics 365 for Financials pulls data from the same system as your sales, marketing, operations, customer service, and other business departments. These connections allow teams to share customer data across departments, quickly send quotes and proposals, follow up on unpaid invoices, and work efficiently with local or distant team members. Dynamics 365 for Financials also makes use of familiar Microsoft Office programs, making it easy for your employees to perform functions like quoting and invoicing via Outlook. Faster, smoother processes enable employees to quickly perform basic tasks and then focus their attention on more important things. The reporting and analytics capabilities of Dynamics 365 for Financials help organizations paint a complete picture of their sales and spending. Financials unites data from accounting, sales, purchasing, inventory, and customer accounts so that you can see exactly where money is being earned – and where it’s being lost. At the same time, predictive analytics help organizations model better financial outcomes and avoid wasteful spending. Dynamics 365 for Financials has also made reports easy to create and share so that every member of your team can use real-time data to make important financial decisions. When those improved decision-making capabilities pay off and your business starts growing, Dynamics 365 for Financials is ready to grow with your organization. The application is flexible and scalable, with dozens of add-on apps to increase capabilities and connect to popular programs your company may already be using, like QuickBooks, PayPal, and credit card processing services. Small and mid-sized businesses especially benefit when they have the opportunity to start with a basic platform and scale up as they require more specialized applications. Dynamics 365 for Financials allows organizations to pay for what they need and eliminate wasteful spending on technology that will go unused or unneeded. Is your company interested in taking advantage of Dynamics 365 for Financials? Contact us today to learn about our special pricing for new Dynamics 365 customers. Dynamics 365 Online or On-Prem? If you are thinking about a major business application project like implementing Dynamics 365, the deployment option is going to be a very important consideration for some organizations. Dynamics 365 is designed with choice in mind, and one of the first choices a business needs to make is whether to use Microsoft’s Dynamics 365 platform on-premises or in the cloud. Dynamics 365 supports both, and the cloud seems to be the go-to deployment option for most organizations. However, for certain specific requirements, an on-premise install may be worth considering. As the Dynamics 365 product continues to evolve, it’s becoming clear that the Online versions are diverging from on premises in functionality because of the massive Azure infrastructure that supports Dynamics 365 online applications – especially Cortana intelligence and IoT specific requirements. As a stand-alone product, Dynamics 365 gives users strong out-of-the-box ERP and CRM capabilities, but the solution’s real beauty is in its ability to connect with a robust collection of apps that enhance functionality and improve business performance across all departments. Organizations that set up Dynamics 365 in the cloud will be better positioned to take full advantage of Microsoft’s wide range of specialized productivity applications. Dynamics 365 was built to accelerate the digital transformation for organizations that are ready to take the next step in business intelligence and automation. The software’s wide range of available – and customizable – cloud-based apps means that the platform can be tailored to meet the needs of every department, in every industry, without sacrificing agility or bulking up on unnecessary tools. Cloud-based Dynamics 365 installations let businesses enjoy a full range of applications like Field Service, Project Service automation that will transform the way you do business. These applications are not available on the premise. Dynamics 365’s cloud-based service and applications operate on all devices and channels, expanding opportunities for professionals who need access on-the-go and enabling users to work from their smartphones, tablets, desktops, and other connected devices. Offline capabilities are included for mobile devices. Further, Dynamics 365’s licensing models let you easily pick and choose the types of applications and functions your team will have access to so that they only see the tools they need. Even office 365 groups, Delve and Customer Portals are available in the cloud version unlike in the on-prem version. Built on the Azure cloud platform, Dynamics 365 provides users with a single, simple service to connect people, processes, and data that can scale as your business grows. You won’t have to purchase more servers to handle more load, and you won’t ever have to worry about the security, reliability and support concerns that a growing business would face managing its servers internally. BI and reporting capabilities vary significantly between the cloud and the on-prem versions. Rethink what’s possible with Dynamics 365 in the cloud with IoT, Gamification, and insights. The enterprise version of the Dynamics 365 apps let you expand your opportunities to all data in one place with Dynamics 365 in the center of the organization. With the cloud version, it’s pay as you go and pay as you grow! It’s easy to start with a smaller number of licenses and then grow with add-ons and apps as they become relevant to your business. You may choose to start with Dynamics 365 productivity apps for your sales and customer service departments, and then expand into operations, financials, or project service automation when you’re ready to grow. Contact us to learn more about which Dynamics 365 option is best for you. https://www.iotap.com/wp-content/uploads/2019/02/iotap_logo_transparent-2.png 0 0 kjawale https://www.iotap.com/wp-content/uploads/2019/02/iotap_logo_transparent-2.png kjawale2016-12-09 06:26:162018-07-24 06:27:52Dynamics 365 Online or On-Prem? A 2015 study by Forrester research found that web-based self-service is a popular channel for customers to find support. The web-based channel along with other channels like email and telephone is part of a well-rounded customer service strategy. Developing channels for customers or partners to reach you only increases the likelihood of a successful interaction. In the past, we have discussed how email to case is a critical component of the service channel strategy. However, Pairing Dynamics 365 with Adxstudio portals is another way to a web-based channel for your organization to improve customer satisfaction. 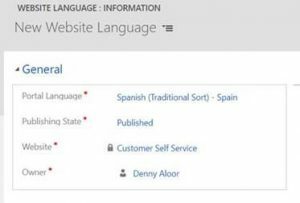 Below are five ways Dynamics 365 users are incorporating ADX portals to provide a better experience for their customers. Help Desk Support: Alleviate the burden on your customer support team with a self-service customer portal that integrates directly with your ERP and automation systems. Let Dynamics 365 and ADX portals help you deliver responsive service, manage support tickets and warranties, and capture levels of customer satisfaction. Create a Dynamic Knowledge Base: Gather information from customers and staff, and compile that knowledge into a database of resources for customers who prefer a self-service approach. Feedback and Crowdsourcing: Conduct online surveys and polls to obtain customer feedback and identify issues to improve your products and customer experiences. Gain Valuable Insights: Use Adxstudio portal activity data, reporting, and analytics to gain insights about your customers, products, and leads. Generate reports and adapt your online portal as your organization grows. Adxstudio portals can be configured with Dynamics 365 to create self-serve opportunities for local and state agency constituents. The public sector can engage with citizens using Dynamics 365’s social media and portal publishing tools to manage citizen service requests efficiently and reduce administrative costs to deliver items like self-service permits and applications. Dynamics 365’s Adxstudio integrations are ideal for supporting and coordinating efforts across complex marketplaces. Quickly onboard channel partners, manage multi-level partner relationships and assign inbound leads to partners using web-based portals linked to Dynamics 365. Use Adxstudio portals to create opportunities for partner growth, and aggregate sales data to separate areas of successful performance from those in need of support. Event management is a logistical challenge. Dynamics 365’s ADX portals make it easy to schedule, accept payments, manage sponsors and speakers, and provide attendee information that is directly connected to your larger database. Adxstudio portals and Dynamics 365 also provide secure transaction processing and attendee pulse feedback to increase efficiency and gather real-time information from event attendees. Dynamics 365 and Adxstudio portals allow companies to offer a truly personalized online customer experience. Grow customer communities, provide self-service and interactive features to improve UX, and deliver a top-notch online shopping experience with all modern conveniences today’s online consumers demand. To learn more about how IOTAP can help you bring Dynamics 365 to the web with Adxstudio portals, contact us today.